At Theatrical Makeup Supplies we have the full selection of Ben Nye makeup for your professional applications. We carry an exceptional selection of Ben Nye face and body painting supplies at Theatrical Makeup Supplies. At Theatrical Makeup Supplies we have the full selection of Ben Nye makeup tools for your professional applications. Ben Nye creates the foremost professional makeup tools for professional applications that you can always depend on for the very best results. We carry Ben Nye makeup brushes with the very finest bristles, applicators, and many other makeup tools to assist you in getting the best professional results in your makeup applications, special effects and face and boy painting. We carry an incredible selection of special effects by Ben Nye at Theatrical Makeup Supplies. We carry an exceptional selection of Ben Nye hair effects, hair colors, and tooth colors at Theatrical Makeup Supplies. We also carry a full line of wigs in an outstanding selection of colors and styles for both men and women. 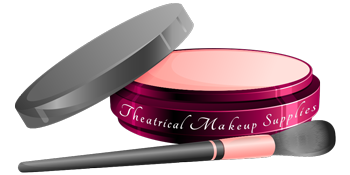 When you are looking for the finest in professional theatrical makeup, look no further than Theatrical Makeup Supplies for all your professional makeup needs. We are your one-stop source online and in Virginia Beach, Virginia for Ben Nye makeup for film, stage, photoshoots, runway, Halloween, Goth, and so much more! ©Copyright 2018 Theatrical Makeup Supplies All Rights Reserved.